Happy day after Fourth of July! Have you made a Red – White – Blue quilt? I have made several. I have a couple in the works to give to Quilts of Valor. I really need to focus on getting them done! Several years ago I did a workshop for one of my guilds on making a sawtooth star in R-W-B’s. A simple pattern is all you need! My 4-3-2-1-Done by Starlight is a super easy pattern and would be a great Quilt of Valor. You can purchase the pattern on my website. #1- Make a quilt for a soldier, veteran or donate to Quilts of Valor or another organization that gives quilts to our military! 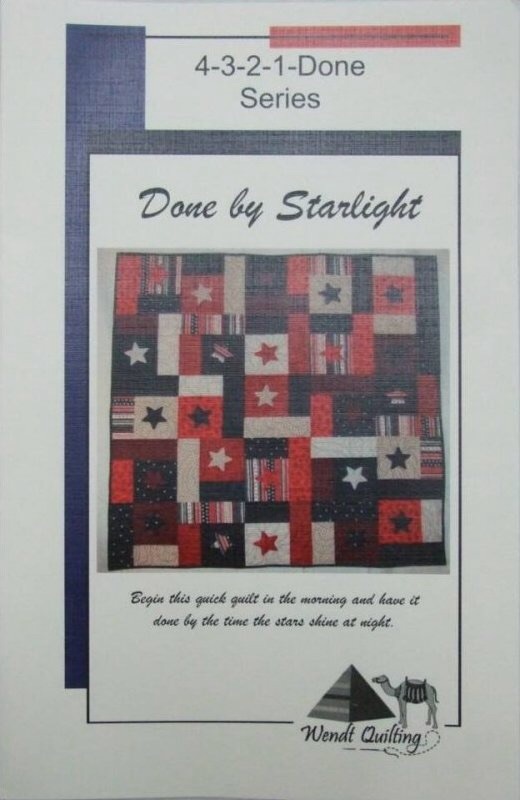 Done by Starlight is a simple block and easy to quilt by taking the lead of the appliqué star. Instant fireworks! 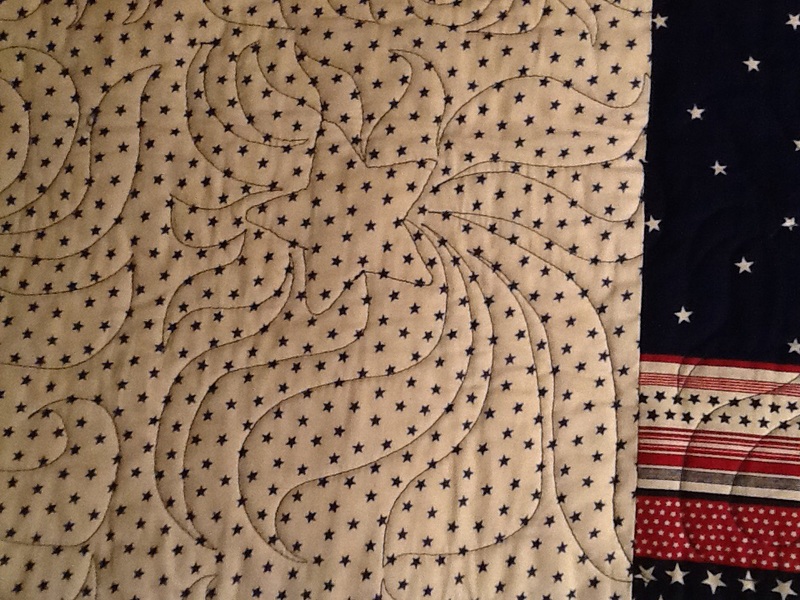 Quilting on Done by Starlight. D.W. When I am taking or teaching a quilt workshop, I often pull out my R-W-B fabrics for class. I don’t have to fuss over choosing fabrics. 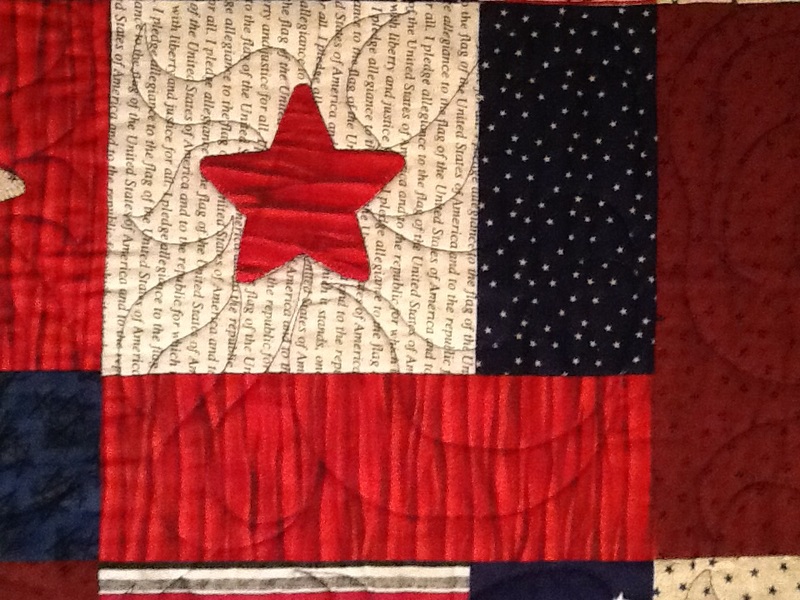 And when the quilt is done, it is given to someone who has served our country. #2- Want to try a new quilt or technique? Choose Red-White-Blue fabrics! I realize I have readers from all over the globe…and many of you have similar national colors!